Let’s talk about a controversial subject for a moment: The Affordable Care Act. Whatever your personal political opinions are, there are probably two things that most people can agree on when discussing what is known as “Obamacare”: the first is that the intended purpose of the policy is positive, that everyone should have access to affordable healthcare. Perhaps the current administration didn’t plan out well how to achieve that end game, but most people can admit that the purpose of a law that makes healthcare accessible and affordable to all Americans is a good thing. The second agreement that can be made is that the rollout and execution of this plan (the web site debacle, the convoluted promises, the confusion) has been a disaster. Regardless of whether you are a Democrat or Republican, a conservative or a liberal, a staunch right wing Fox News junkie that believes the Bible should be taken literally only when it’s convenient for you and that science is evil (probably an extreme example here) or an extreme left 60’s flower child hippie who thinks that the fight to legalize pot is equates to your own personal fights like women fought for the right to vote or African Americans fought to end Jim Crow laws (it’s not. Those examples are preposterous. Settle down, it’s just weed), there is one more thing that should be noted in relation to the Affordable Care Act: the benefits that it has in making substance abuse treatment services accessible to those in need through the Mental Health Parity and Addiction Equity Act. No matter what your feelings are about President Obama or the Affordable Care Act as a whole, the availability of substance abuse treatment that it gives to those people suffering from drug addiction and alcohol abuse is undeniable. 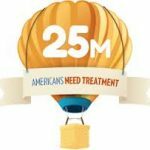 One of the common misconceptions about the drug treatment industry is that the highest quality or the best substance abuse treatment and treatment for chemical dependency is really only available to the super wealthy. Sure, there is good treatment available on a number of levels of care at a number of different price points. There are private drug rehabs, public facilities and state run treatment centers. However, the thought process is that the best addiction treatment for addicts and alcoholics takes place in multimillion dollar mansions in South Florida and Los Angeles or in centers with names like Betty Ford or Hazelden. Unfortunately, in many cases, this thought process isn’t far from the truth. The more a rehab charges for its services typically the better it can pay its staff and therefore the better the staff will be. And the better the treatment will be. And the better the amenities will be. Unfortunately, $30,000 for 30 days of rehab isn’t a price point that most drug addicts or alcoholics (or their families) can afford. Furthermore, with studies showing that a long term, recovery oriented system of care where a patients moves through levels of treatment with the same clinical team in the same therapeutic environment showing a higher probability of long term recovery (because the term “success rate” when discussing drug treatment is a bogus, nonsensical term used by people uninformed on the topic), how can anyone expect to receive high quality treatment at such high end places? Only the extremely wealthy can, right? The Affordable Care Act is changing all that! One of the greatest benefits that President Obama’s plan makes available to patients is the accessibility and affordability of mental health and substance abuse treatment services across a wide range of different levels of care. Addiction treatment isn’t cheap, but it should be affordable. People that are in need a drug treatment should be able to get drug treatment. Sound simple enough? By giving parity to mental health and addiction, these disorders now must be treated like any other medical condition and must be covered by insurance companies. So this means that Obamacare ensures that more people have health insurance and that those health insurance plans must offer benefits for drug and alcohol treatment, therefore the Affordable Care Act is the catalyst for more people accessing and affording quality drug treatment in the United States. According to DrugWarFacts.org, “in 2012, an estimated 22.2 million persons aged 12 or older were classified with substance dependence or abuse in the past year.” Furthermore, the organization states that in 2012 there was 20.6 million people age 12 or older “who were classified as needing substance abuse treatment but not receiving treatment in a specialty facility.” Over 22 million people in need a drug and alcohol treatment services that did not receive treatment! Now, many of them didn’t believe they needed help, thought they didn’t have a problem or didn’t seek out any type of treatment. But many of those 22 million people in need of treatment didn’t get it because they couldn’t afford it or they had no insurance or their health insurance didn’t cover substance abuse and mental health issues. The truth about President Obama’s Affordable Care Act, even if you have many other issues with it, is this: Is makes drug treatment available to a population of 22 million Americans that are in need of such services. 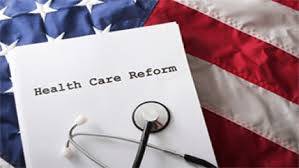 So regardless if you are a Democrat or a Republican, a conservative or a liberal or a tea party loyalist or a member of the green party or if you don’t even follow politics, there is no disputing that there are huge benefits of Obamacare. 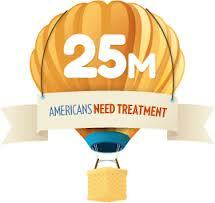 Drug addiction and alcoholism affects roughly 15%-20% of the population of the United States. And they doesn’t even take into account those people dealing with substance abuse or chemical dependency that do not fall under the classifications of “addicts” or “alcoholics.” Those people with what is sometimes perceived as a “lesser” issue with drugs or alcohol still are in need of treatment. A good quality treatment. The accessibility and affordability of substance abuse treatment under the Affordable Care Act is the greatest benefit that this law has to offer. Giving much needed treatment resources to a huge population in need of such services. Whatever you think about the Affordable Care Act as a whole, the benefits it offers to those in need of mental health and addiction treatment is in one word, undeniable.